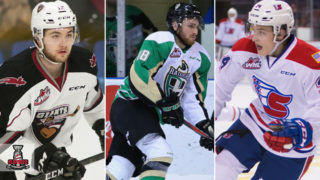 Through the months of July and August, the Western Hockey League is saying ‘thank you’ to its 2018 graduating class. From August 6 to 10, we extended our gratitude to 10 players who concluded their WHL careers in the 2017-18 season. Kelowna Rockets forward Carsen Twarynski set career highs with 45 goals, 27 assists and 72 points this season. He finishes his career with 182 points in 257 games. Twarynski joined the Lehigh Valley Phantoms after his season where he posted two points in five games. Carsen was drafted and signed by the Philadelphia Flyers. 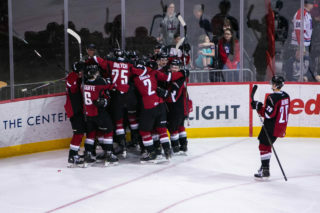 Moose Jaw Warriors forward Tanner Jeannot posted 80 points this past season, setting career highs with 40 goals and 40 assists for 80 points in 72 games. His scoring and play-making abilities earned him an NHL contract with the Nashville Predators. Seattle Thunderbirds forward Donovan Neuls finished the season with 76 points (22G-54A) in 71 games to give him 180 points in 283 games. Nuels also won the Ed Chynoweth Cup in 2016-17, playing his entire career with the Seattle Thunderbirds. Lethbridge Hurricanes forward Brad Morrison led the WHL in points during the playoffs with 37 in 16 games. 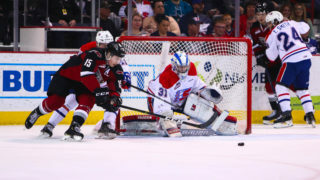 The former Vancouver Giant and Prince George Cougar signed a contract with the L.A. Kings earlier this season. Prince Albert Raiders forward Regan Nagy recorded five points in seven playoff games this season. He split the season between Victoria and Prince Albert where he collected 45 points (25G-20A). Nagy finishes his career with 284 games played and 118 points. Prince George Cougars forward Brogan O’Brien spent three seasons in the WHL. He posted 130 points (44G-86A) in 193 games. Upon the conclusion of his WHL season, he joined the Kansas City Mavericks where he posted two points in four games. O-Brien has committed to Carleton University. Medicine Hat Tigers defenceman Kristians Rubins scored 51 points in 109 games for Medicine Hat. The Latvia native added 11 playoff points in his two seasons with the Tigers. The 16th overall selection from the 2016 CHL Import Draft signed a contract with the Newfoundland Growlers of the ECHL. Spokane Chiefs forward Hudson Elynuik finished this season with a career high 86 points in 71 games. He added 7 points in as many playoff appearances this season and finished with 223 points in 280 games. The 6-foot-5 center signed a contract with the Toronto Marlies after an impressive development camp. Vancouver Giants forward Ty Ronning finished this season with 84 points in 70 games, scoring 61 goals. He finishes his WHL career with 127 goals and 91 assists in 285 games. Ronning was drafted and signed by the New York Rangers. Regina Pats forward Cameron Hebig earned a contract with the Edmonton Oilers during his impressive season. He scored 90 points in 66 games between Regina and Saskatoon. He then added eight points in seven playoff games. 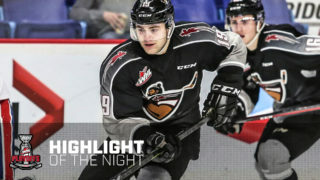 Hebig finishes his WHL career with 225 points in 264 games and six points in five games during the MasterCard Memorial Cup. Thank you to our graduating players for all your contributions on and off the ice. Visit @TheWHL on Twitter daily for new player cards. 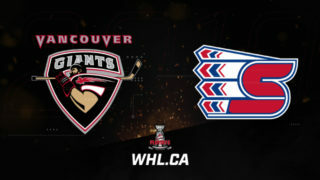 Weekly recaps of player cards and highlights will appear at WHL.ca each Friday.